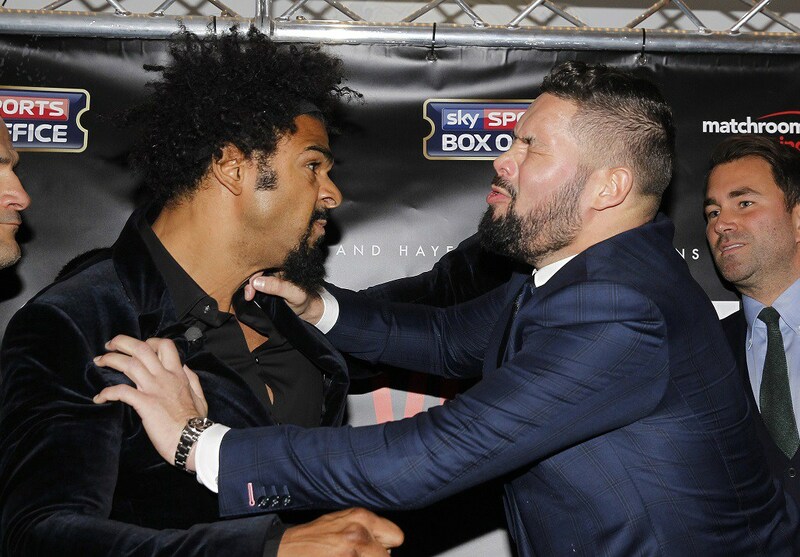 Outspoken former WBA heavyweight champion David Haye 28-3 (26) has insisted that local rival Tony Bellew 29-2-1 (19) never hurt him in their fight last year that ended in the ‘Hayemaker’ twice visiting the canvas and eventually being stopped in the eleventh round. Speaking to talkSPORT’s Fight Night this week ahead of their rematch on May 5, Haye credited Bellew’s caginess and better-than-expected defence for the win. “I took plenty of his punches in that fight and in lots of fights I have been legitimately knocked down hurt, I know when a puncher can really do damage,” said Haye, 37. “At no stage in that fight in the 11-rounds that we were there did I feel that, ‘oh my legs are gone from his punch power’. I knew that before the fight. In their first bout Haye ruptured his Achilles tendon during the fight, leaving him a sitting duck for the 35-year-old Liverpudlian Bomber’s bombs. “It was very cagey, he had a nice little shoulder roll. He was doing some clever things when I was coming at him throwing all stupid punches. He did what any world class boxer would do and negated my crude attacks,” said Haye. “Credit to him, I underestimated his craftiness. He’s been around in the game many years, like myself, so maybe it was a foolish move of me not expecting him to be able to do that. Bellew is a former WBC cruiserweight champion circa 2016, while Haye unified the WBA, WBC and WBO cruiserweight titles in a decade ago before moving up to heavyweight.